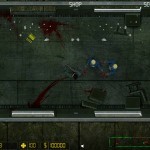 Zombie Action Shooting Survival Upgrade Box10 Click to find more games like this. 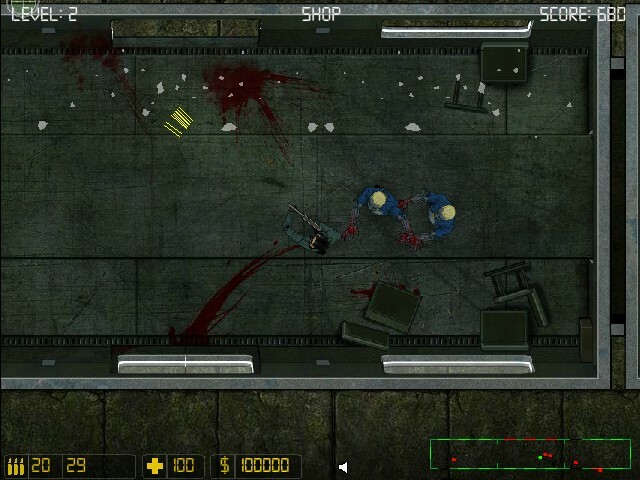 Cheat: Unlimited cash, ammo, health. 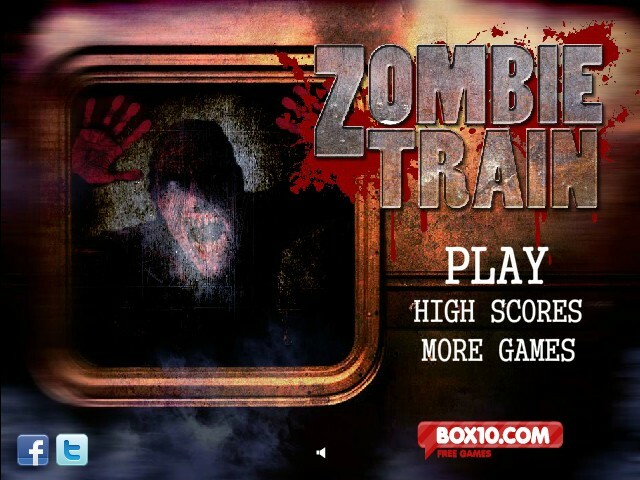 If you love play in Nazi Zombies on XBox, you will love playing this game. Defend yourself in this working train. 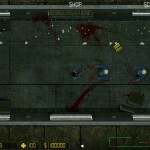 Shoot down zombies and repair barricades to gain money. Open the shop and buy new weapons to defend yourself better. 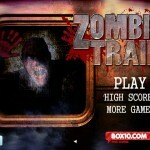 Watch out for the hordes of zombies! 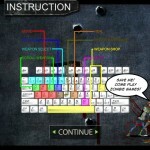 Use the WASD KEYS to move. 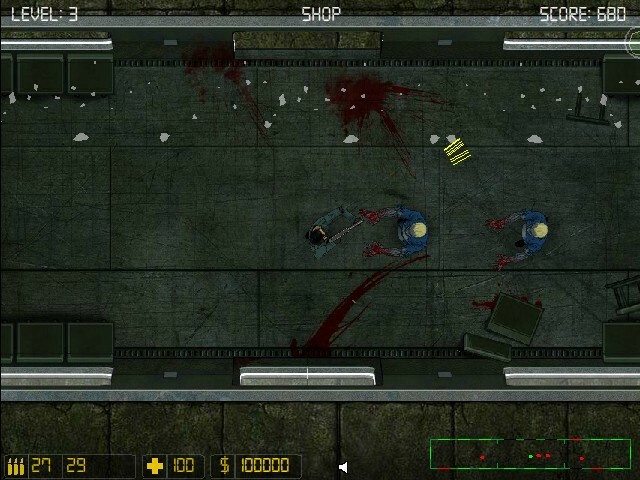 Use the Q and E KEYS to scroll weapons and the 1-5 KEYS to easily select a weapon. To reload, use the R KEY. To repair a barricade, use the F KEY. The H KEY heals you. 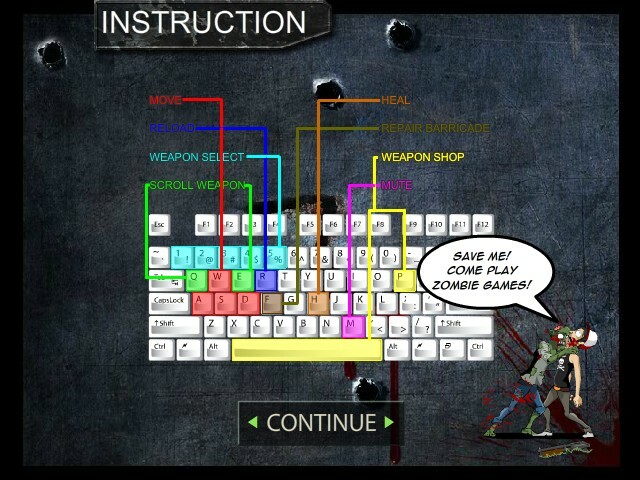 Use the SPACEBAR or the P KEY open the weapon shop. Use the M KEY to mute. Good luck!